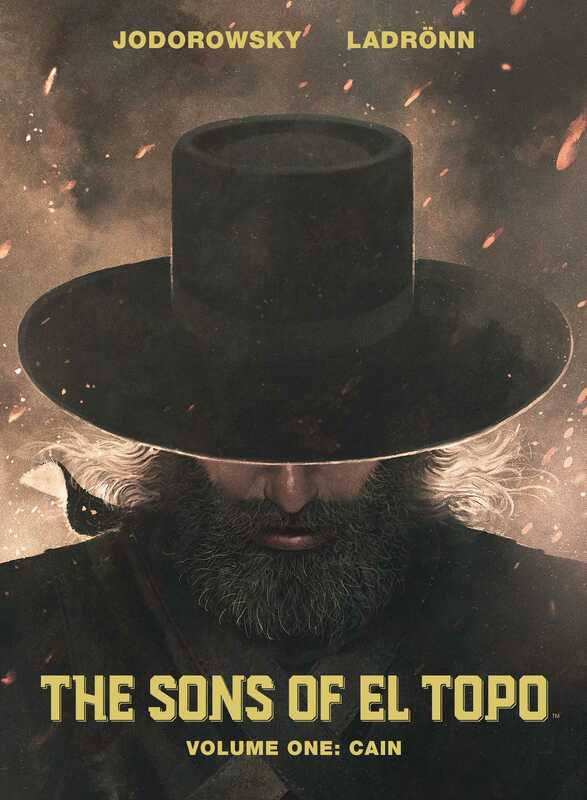 The sequel to cult film, El Topo, from controversial filmmaker Alejandro Jodorowsky. El Topo was a bandit without limits, a man with no moral compass, but when his journey through the arid west brought him face to face with a series of rogue outcasts, he found enlightenment in the unlikeliest place and was forever transformed, becoming a holy vessel imbued with the power to perform miracles. This was a journey that took him far from his first born son, Cain, and brought about the birth of Abel. Fueled by resentment, and unable to kill his saintly father, Cain begins the slow pursuit of his half brother in a tale of magic and mayhem worthy of legendary filmmaker Alejandro Jodorowsky and virtuosic illustrator José Ladrönn. Together, they deliver an allegorical and surrealist western where the genre is at the service of deeper philosophical and spiritual considerations.